Migraine is a severe form of headache and is a painful condition that afflicts 13 percent of adults in the US. The symptoms range from vomiting, nausea, tingling sensation in the arms and legs to sensitivity to light and sound, which can last from a few hours to a few days. While the exact cause of migraine is not known, there are specific triggers for each person, and avoiding these triggers can avoid a migraine attack. Chronic Migraine is a more severe form of the condition where migraine headaches are present for 15 or more days of a month, and each lasting 4 to 5 hours in duration. Various forms of medication have been used to treat chronic migraine in the past. However, in recent years, it’s found that BOTOX® (onabotulinumtoxinA) can be injected into the patient’s head or neck to prevent, or reduce the frequency and intensity of migraine headaches. In October 2010, the Food & Drug Administration (FDA) approved Botox as a treatment option for chronic migraine after extensive clinical trials proved its efficacy. 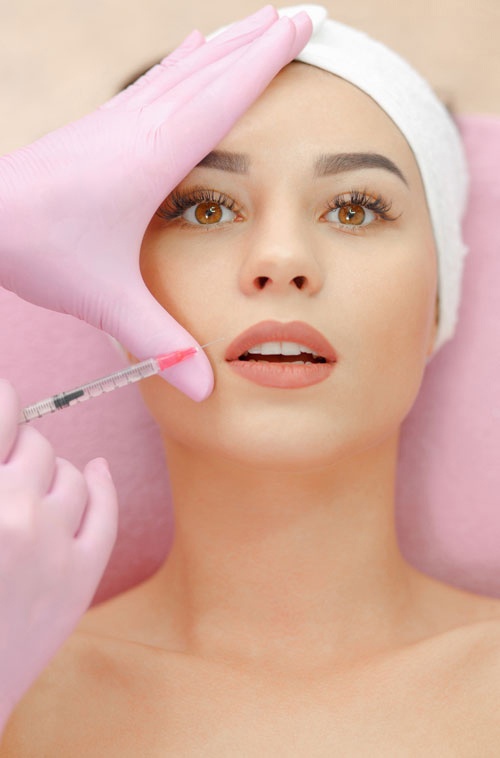 31 injections of Botox are injected in 7 different sites on the head and neck, in shallow muscle areas not too far below the skin. These injections are given over a period of 12 weeks and the course must be repeated every 12 weeks. The injections are quick and painless with no discomfort whatsoever. Clinical trials have shown that after two courses of treatment (24 weeks), Botox prevented on an average 8 to 9 days of headache or migraine or probable migraine in a month. The incidences can be further reduced with more courses of treatment.